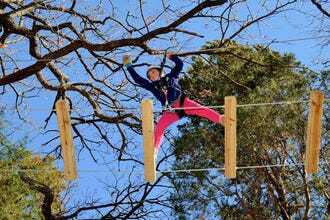 December in the Dallas area might not be a winter wonderland, but what we lack in snow we make up with loads of activities and plenty of seasonal cheer. Feeling Festive? Then you’re in luck. In addition to Dallas’ other holiday attractions, you can check out the city’s impressive light displays and score scrumptious sweets from a slew of delicious dessert destinations with Dallas By Chocolate Tours. 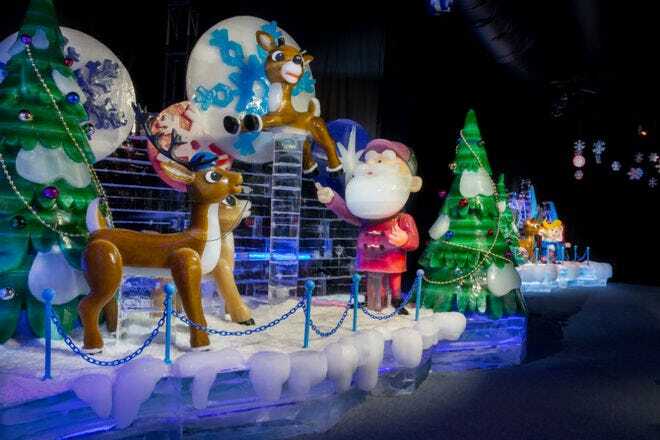 There’s also Texas Christkindl, a traditional German-themed holiday market at Arlington’s Texas Live Plaza, and ICE!–a walk-through winter wonderland of hand-carved ice sculptures at the Gaylord Texan. Oh, and we’ve got the lowdown on a few less traditional things to do too. Running until the end of December is the immensely popular Sweet Tooth Hotel. No, it’s not really a hotel, it’s a totally immersive art exhibition in which Instagram dreams are made of. And for something even more offbeat, how about taking your holiday to new frights at Dark Hour’s Christmas-themed haunted house? 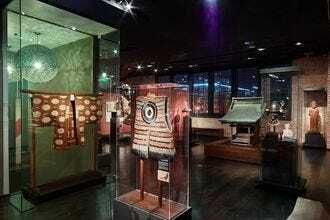 Still looking for more things to do? 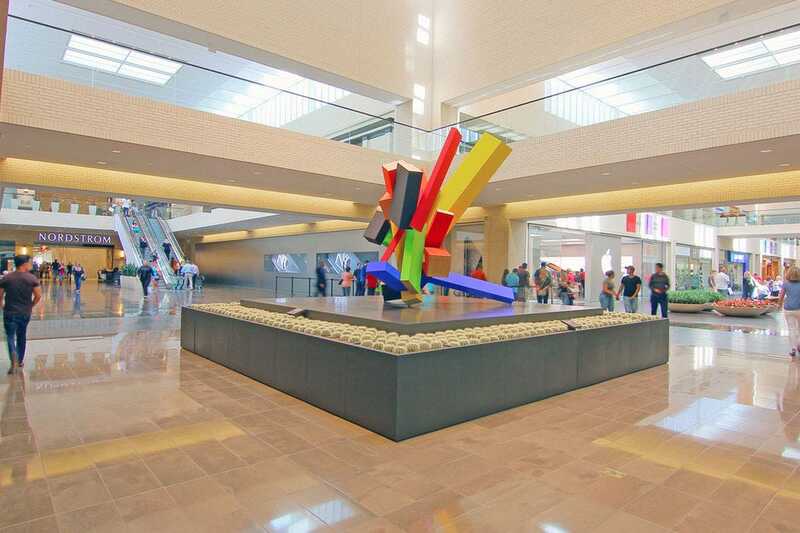 Then be sure to check out the rest of these activities, events and attractions happening in the Dallas area throughout December 2018. The George W. Bush Presidential Library and Museum is giving visitors a chance to celebrate the holidays like the First Family with a recreation of Deck the Halls and Welcome All Exhibit, the Christmas theme Laura Bush selected for the White House in 2006. The dazzling exhibit includes garlands with brightly colored glass ornaments cascading over doorways, topiaries, behind-the-scenes photos, and a replica of the Blue Room White House Christmas tree. 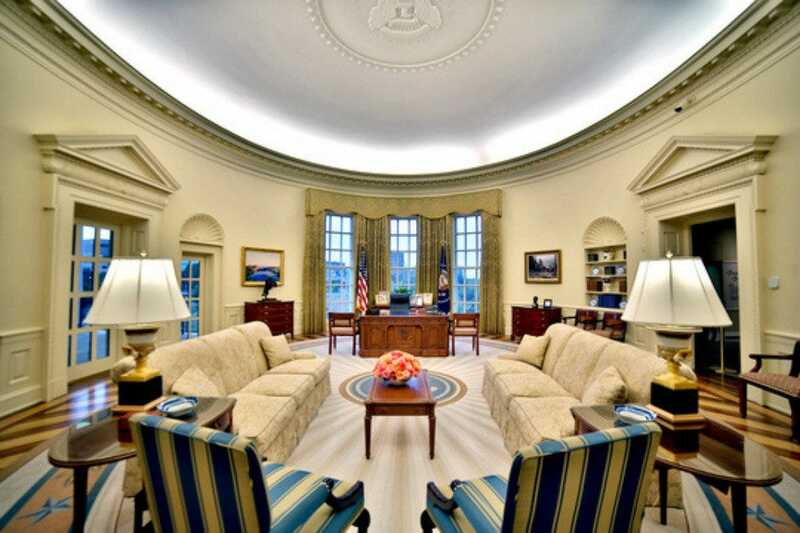 Also on offer will be musical performances, fun activities and photo-ops with Santa in the Oval Office. The event kicks off on Tuesday, November 27, 2018 at 6 p.m. with a tree lighting ceremony in the courtyard and runs through January 6. General admission tickets are priced at $10-$16. 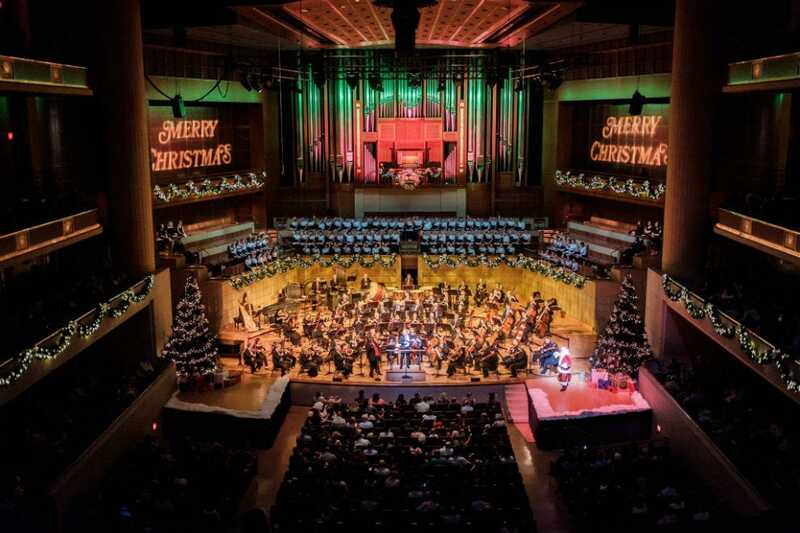 'Tis the season for carols and the Dallas Symphony Orchestra has that all covered with its annual Christmas Pops concert at the Meyerson Symphony Center. Running December 7 through 16, 2018, the show features all your favorite yuletide staples and sing-along carols with the Dallas Symphony Chorus. Don't be surprised if Santa makes an appearance too. If Christmas music is not your thing, the DSO is also performing the Oscar-winning music of John Williams in 'Star Wars: A New Hope Movie in Concert,' December 20-22. And if you're looking for something simply sensational to do for New Year's Eve, the symphony's evening of Strauss waltzes may be right up your alley. Did we mention that there will be a champagne toast at intermission? You need to pick up some last-minute gifts, but your kiddos want to be entertained too, so what better place to get it all in than at a shopping center, right? And as far as shopping centers go, NorthPark has got to be one of the most festive ones during the holidays. 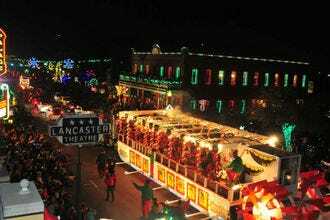 Expect to find opulent decorations along with a sleigh-full of events which include everything from free marionette shows, live musical performances and an elaborate model train exhibit to a Santa meet and greet. The holiday fun begins on Black Friday with a reindeer festival at 10:30 a.m. in the Centerpark Garden and continues through Christmas Eve. 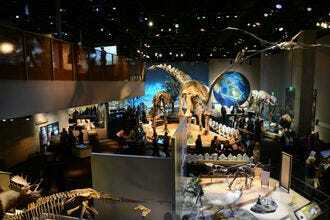 The Perot is decking the halls with luminous dinosaurs for its dazzling, light-themed science exhibition--"Illuminate." From November 3, 2018 through January 6, 2019, visitors can see the likes of T. rex, Frenelopsis (a 110-million-year-old tree) and Alamosaurus transformed with elaborate light projections plus view an Aurora illumination installation and the Aurora Butterfly of Peace. This is also the time to get in on the final weeks of the popular 'Ultimate Dinosaurs,' an interactive exhibit which uses cutting-edge technology to bring to life the dinosaurs that once roamed the southern hemisphere. Look out for a winter solstice celebration on December 21, along with flashlight dinosaur scavenger hunts, dino dance parties and pop-up science demonstrations. Oh, and guests are encouraged to don glowing or light up attire too. There's nothing more quintessentially Christmas than A Christmas Carol, the beloved holiday classic about a cantankerous loner who discovers the meaning of Christmas with the help of three mysterious apparitions. And no place puts on a more delightful performance of it than the Dallas Theater Center, which has been doing it now for over three decades. But if you thought this was just another bah humbug production of the same fable, then fear not, this one takes the Dickens' tale to another level with spectacular special effects, songs, laughter and a talented cast of actors. Tickets start at $25 and the show runs from November 21 through December 30, 2018 at the Wyly Theatre. Note that the production is best suitable for children elementary school age and up. 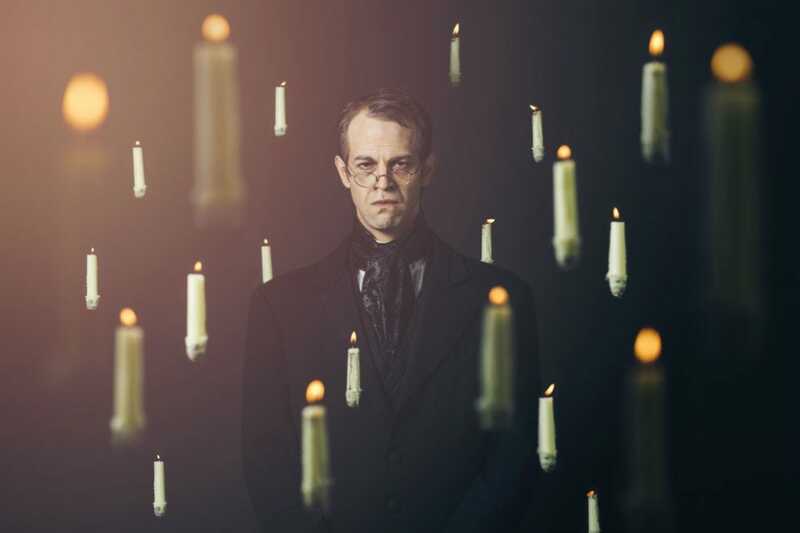 If you thought haunted houses were only for Halloween, think again. 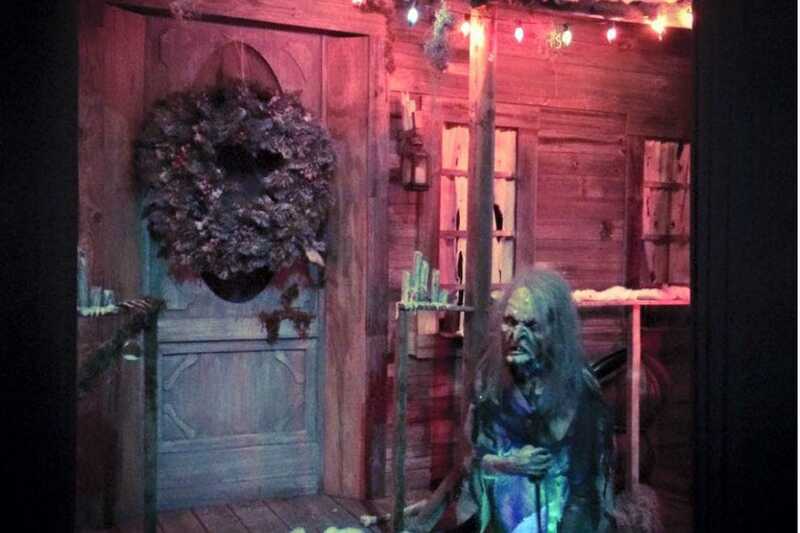 This 30,000-square-foot house of horrors has switched out the goblins for evil elves this holiday season with its special attraction, "Wreck the Halls: The Christmas Wars." Taking place December 14, 15, 28 and 29, 2018, the yuletide thriller features Jack Frost and Carl the low rent Santa as well as a host of sentient toys in an epic battle against Krampus and his army of elves. And with elaborate sets, high-tech special effects and professional-grade actors, it's no wonder this haunt is consistently ranked as one of the nation's scariest. As an added bonus, you can also tour Dark Hour's second attraction, Carl's Playhouse, which takes place in a themed children's pizza parlor. Tickets for the holiday haunt start at $29 and can be purchased online through the website. We can't think of a more surefire way to get in a festive mood than by seeing holiday lights while indulging in hot cocoa and premium chocolates. Between November 30 and December 30, Dallas by Chocolate offers a Christmas Lights, Chocolate and Sips tour package that kicks off with a visit to a variety of top local dessert venues before continuing on to view some seriously decked out 'hoods. 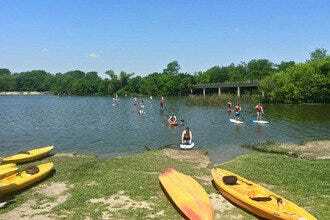 The excursions last from three to four hours and include transportation via private bus, dessert samples, beverages and a tour guide. 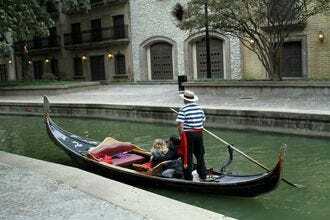 Other tours on offer include a pizza and chocolate experience as well as a taco and margarita tasting. 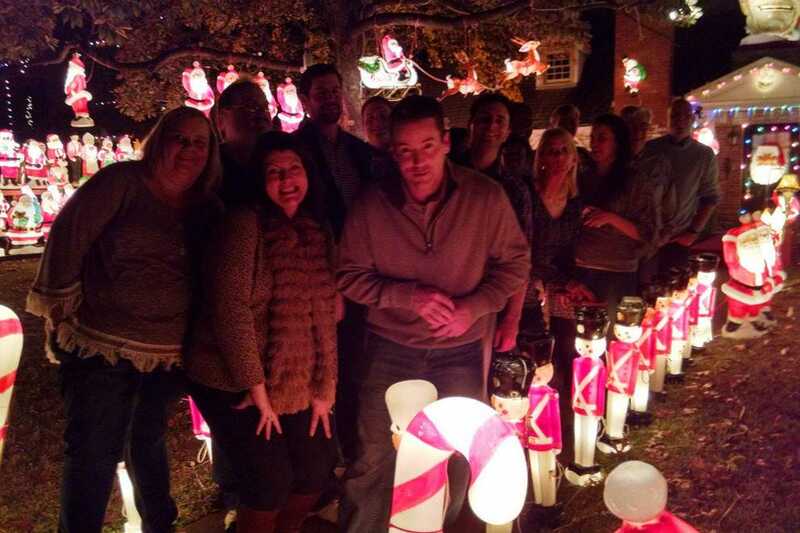 The holiday light tours are held every evening except Christmas Eve and Christmas and start at $43. The Gaylord Texan always pulls out all the stops for the Christmas holidaysthink 1.5 million holiday lights, a 52-foot rotating Christmas tree, 12,000 ornaments, a life-sized gingerbread house plus ice skating, scavenger hunts, games, build-a-bear workshops, Santa sightings and cookies with Mrs. Claus. But wait, there's more-including the resort's signature holiday attraction, 'ICE!' -- a walk-through winter wonderland featuring two million pounds of hand-carved ice sculptures showcasing favorite scenes from Rudolph the Red-Nosed Reindeer. As if that's not enough, there's also five, two-story tall ice slides and an indoor twelve-lane tubing hill covered in real snow. Admission to ICE! starts at $13.99 child/$22.99 adult; combo tickets begin at $35. The festivities run from November 9, 2018 to January 1, 2019. 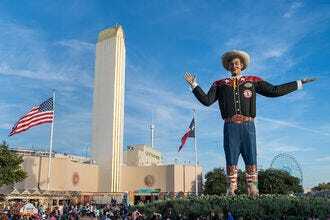 One of area's largest German-themed holiday markets is back this year at Arlington's new entertainment venue, Texas Live. And with it comes brats, potato pancakes, German beer and gluhwein plus plenty of polka dancing and live music too. Need to do some last-minute shopping? Then you're in luckthe market features a slew of stalls peddling everything from handcrafted gifts to decorations and one-of-a-kind finds. Speaking of handcrafted gifts, keep an eye out for exclusive Käthe Wohlfahrt Christmas decorations and designs from the renowned Rothenburg ob der Tauber Christmas Village in Germany. Best of all, there's no admission charge to get in. 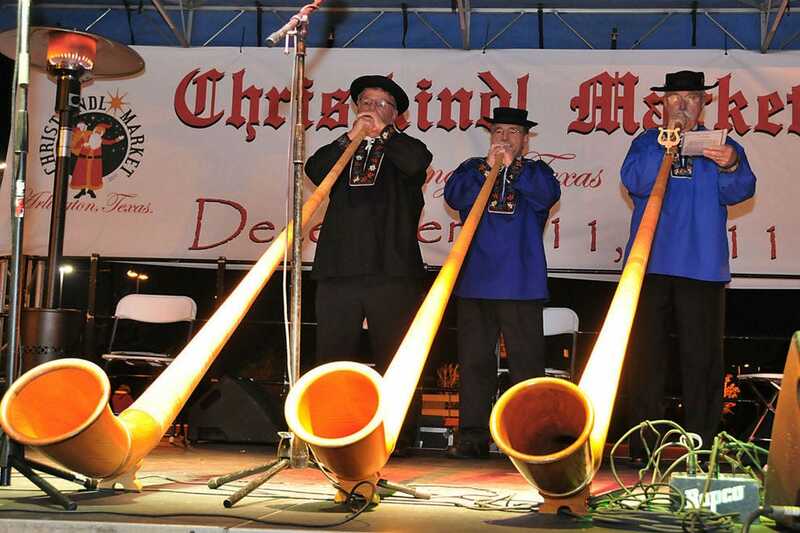 Christkindl takes place daily, from November 23 to December 23, 2018. 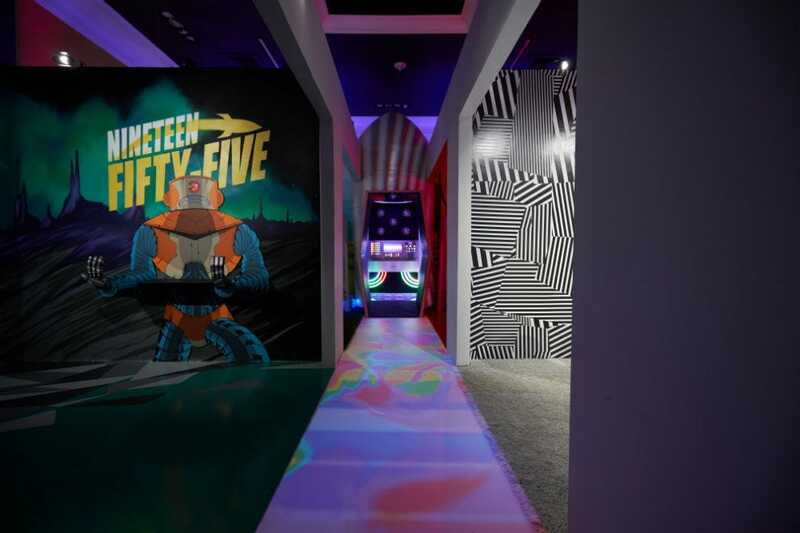 Dallas' most Instagram-worthy dessert-themed art and retail pop up, which made its debut this past summer-- is back with a new psychedelic space-centric adventure titled "1955." On display from November 2 through December 31, 2018--the exhibition features five interactive spaces exploring the theme of retrofuturism (think: a rainbow fueled rocket ship, a pastry laced galaxy and alien snowmen). Oh, and in case you're still working on your holiday gift list, the venue also houses an awesome gift shop filled with limited edition products and artist works. Tickets are priced at $20 (children under 2 admitted free) and are only available online through the website. But hurry, time slots are selling out fast.